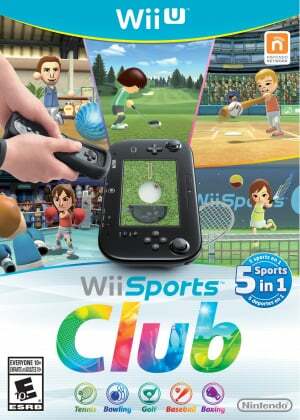 Wii Sports Club on disc functions exactly the same as the download app if you've permanently purchased all five games; that's absolutely fine, as it's always been a crisp, easy-to-use layout. When first booted up it'll ask you to setup a profile, too, in which you select your regional Club and opt in/out of SpotPass — again, identical to the eShop product. The Club setup is nice in practice, in that every sport has rolling leaderboards not just for your ranking, but the position of your region. The goal is to engender some competitive spirit as you aim to take your region to the top, though as competitive gaming is normally a selfish endeavour we suspect most will be more interested in their own rankings and win ratios. Miiverse is integrated well, and is also used when setting up customised call-outs, of which you can have three mapped to the Wii Remote D-pad at any time during matches. 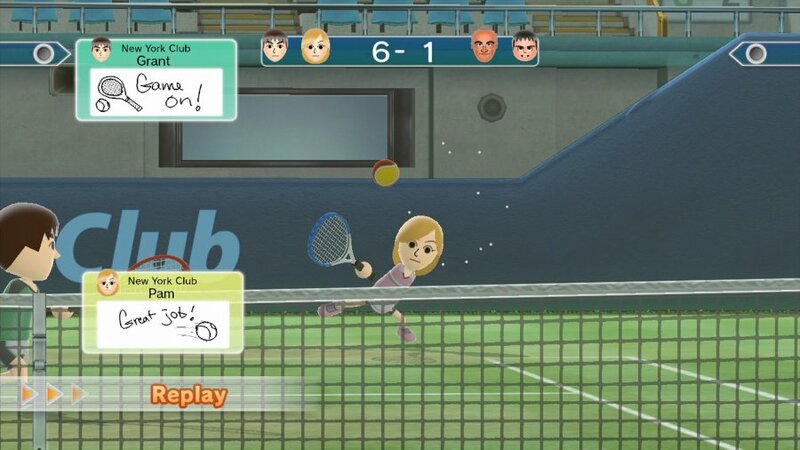 This is really just to enable Nintendo to moderate messages, and in our case had the bonkers flipside that, when originally reviewing Tennis, we couldn't use the word 'balls' in our message — we're not even kidding. Standard posts to Miiverse are naturally supported, and after an online match in particular you'll often be asked whether you want to post about it to your 'Club', which also means posting a general message on the social network. As for the online play in general, it all works, though with some sports being better than others. As you'll have seen on previous pages the Friend matches are a fiddle, bizarrely, while lag can sometimes be a problem; the inability to select immediate rematches is also an annoyance, but matches normally kick in relatively quickly. What online play does allow is for you to enjoy the game even when family and friends aren't around, as a lag-free match is always more fun than taking on the CPU. This is an odd title on Wii U, meanwhile, as it's one of the few that's primarily navigated with the Wii MotionPlus Remote, with the GamePad to be kept close for use on Miiverse, while it's prominent in Golf and Baseball. In the other sports you could conceivably ignore the Wii U's controller entirely, highlighting that this is — unsurprisingly — a port that's a bizarre hybrid, not quite fitting the newer system like a snug boxing glove. Yet it does serve up the thrills of that iconic Wii pack-in title, improving most of the sports and adding a little more interaction to the experience. It's certainly pleasing, with this disc copy, to readily have all five sports available without worrying about whether you've previously unlocked them all — when hosting family or friends it avoids the "I haven't bought that one, actually" scenario. If found at a good price in stores it's a solid option, in that respect, and in our view three of the sports are strong entries — Golf, Bowling and Baseball utilising improved controllers and technology; Tennis is reasonable, too, with Boxing being a weak link. When you throw in Miiverse and online play there's certainly scope for a lot of enjoyment that takes in nostalgia of some multiplayer fun on Wii. Choosing between download passes or this compilation is down to individual preferences and budget, but those keen to try all five sports in the most convenient way should certainly consider the disc-based route. I'll get it when it drops in price. The disc version should have been bundled with a Wii remote plus. I would buy it in a heartbeat if that were the case. And believe it or not there are many Wii U owners without a remote plus. I got it for £25. A reasonable price I think. I wouldn't have paid more than that for it though. 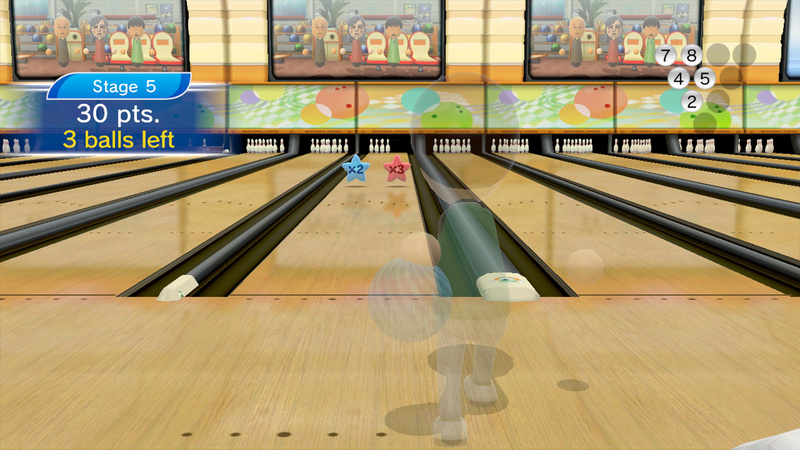 Nice to have Bowling with online. Tennis and golf too. Probably won't bother with Baseball or Boxing too much. Adore Golf, Tennis, and Baseball. Far better than their original counterparts. Bowling is as solid as ever and Boxing is pretty similar, but both offer a nice change of pace. Overall an excellent upgrade and probably the best sports compilation on the market. No way I'm paying $39.99 for a HD remake with online. Maybe $20 price cut and then I'll think about it. Don't know if I will ever get this. The Wii Sports ship sailed a long time ago for me. I should have gotten only golf and bowling as they are the only games I/we play and enjoy. I should have trusted my instinct and didn't buy tennis. Now I ended up buying them all just because. You should update your review of the Tennis. It's by far the best game and the lag and matching issues weren't there last time I played. Although it gave me tendinitis so maybe the score should stay low. Holy click thru Batman - 7 pages? I realize it laid out nicely that way but please tell me this is an aberration and not going to the the standard going forward. I really hate clicking thru stories. Also, not only is the Gamepad hardly used, you NEED to have a Wiimote turned on JUST to access the main menu. Why can't I at least look around the main screen suing the Gamepad while I decide what sport I want to play? @Ryno may be right, this shipped may have sailed, and as @Samurai_Goroh said this game should be shipped w/ a WiimotePlus, it's NECESSARY for the game, no if ands or buts. And $40 for a game that came free w/ the $250 Wii is going to be a hard sell on a system that isn't selling. I think it's worth it for online and HD, BUT, capitalized BUT, online i sonly worth it for me if I have friends and family to play w/, and we don't know a single other friends or family who own a Wii U. They should bundle this w/ 2 Wiimotes and Wii U for $299. (I think Japan had a similar family bundle a while back.) That may be a $420 MSRP value, but Wiimotes are 7 years old, do they still need to be $40 each? Even the Plus are several years old, $20 tops. Some of these need a little updating. For example, it says that Golf has two courses when there are three: the Resort course was added in later. @rjejr They should at the very least have a warning in the front cover: "Wii Remote Plus required" like the N64 games that required the Expansion Pack did. It's not that explicit at all for the uninformed consumer, who might see the box art and think that at the very least his old (non-Plus) Wiimotes will work. Off topic but I noticed Project Cars is up for pre-order from game and is £15 cheaper on Wii U... hope that doesn't mean it is missing anything other than graphically. @Savino yes to Resort! Amiibo, integration please. Also the sad thing is that if you don't have a Wii Remote Plus, then you can't even play this. Oh the irony: the ones I'm most interested in are precisely Tennis and Boxing. I'll get it eventually, but I'm waiting for a good deal. Also not keen on a 7 page review, a minor quibble though, I appreciate the overall review, thanks! The most I would pay for this game is $10. You gotta be kidding me, right? Make a real baseball game with online play where I have to use a motion plus to swing and we can start talking. Same with golf, same with bowling. Get rid of boxing. Wow, you guys are willing to shell out 50-60 bucks for WW HD and you think Wii Sports HD worth only 10-20 bucks? Sure they are different games/genre but come on. If I'm Nintendo, I wouldn't have bothered for a remake if it'll only cost that less. 40 seems right. And some of you even paid less. Bought the Tennis Club Pass in November from Gamestop for $4.99 and then completed the digital version buying the remaining three Club Passes two weeks back directly from the eShop for $29.97. Factoring the 20% off eShop cards from Best Buy and the 10% back from the Deluxe Digital Promotion, the complete digital version cost me around $25 + tax. Decent deal. Had I not bought the Tennis Club Pass last year I probably would have bought the physical version of Sports Club. I'm happy with my digital version, though. Baseball with the gamepad is a revelation, MUCH better than the original. So, so good! Tennis is MUCH more competitive w/Motion+, but not as accessible as the original when it was just timing. It's not nearly as good a party game as the original, but it's better for long-term players. Golf is Tennis x11! Way too hard for any casual player! No party play whatsoever! Rewards players who play it A LOT! Rewards them a LOT! Bowling is essentially the same as Resort. Prettier, couple of new modes. Party pleaser. Fun single-player. Poor online title b/c it's a slow game. Boxing I haven't bothered to try b/c of the reviews. Plus, Baseball! I'm way too busy playing it! I'm totally getting the Disc version soonish. Wii Sports was a good time-waster, but what I've played of the other sports from the 1-day trials, this version definitely has more staying power. On another note, this 'Wii u sports club' fiasco is actually the perfect example of Nintendo's poor handling of bringing the Wii u to market. So many decision changes and mistakes in marketing have created the opposite effect of Wii sports massive success alongside the Wii, with this really representing a back track for the initial Wii u launch strategy. @Samurai_Goroh - I'll be honest w/ you, I didn't even know this game required Plus. But if they are going to put requirements on the box they might want to add that it requires a Wii U. I know it says Wii U on the very top of the box but I can't help but think a few casual players might just assume it's a Wii Sports sequel for the Wii. The box looks like Sports Resort. Interesting review. The most disappointing part is that Boxing no longer supports Nunchuks as I only have 3 Wii Remote Plus controllers. The only one I bought so far is Tennis, but the online is so atrocious that it makes me not want to buy any of the others. I like this review approach, as you only read what you want to read. Still I would not pay more than $20 for the whole package. I mean, I loved Wii Sports (who didn't?) and this one is better in every way. Ya, the boxing is crap but the Golf is SPECTACULAR. The baseball and bowling is really great and the tennis is pretty good too. I'm buying this retail despite owning all 5 digitally just because I want it on disc> it's a classic game and I love owning physical copies of classic games. 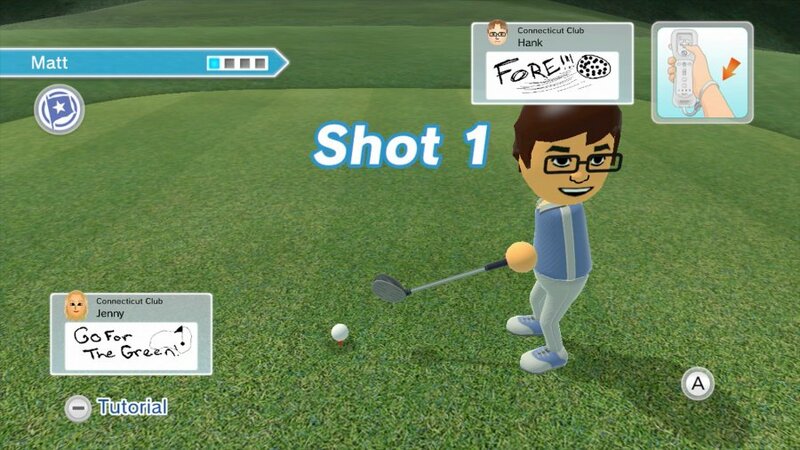 I really hope Mario Golf on Wii U takes a page out of Wii Sports Club's playbook and offers an option to play with the Gamepad on the ground and Wiimote to swing. Man I love golfing that way! There's also probably a few people that'll buy microwaves thinking they're AC units. Nintendo, pleaaaassse let it go! At the Wii launch it was what it was: A fun demonstration of the Wiimote, with clean (but simple graphics). It did its job, attracting the masses. But the masses won't be tempted again with this game, and we fans don't need it either! Just let it go away. This is a fair review. I might personally bump it up to an 8.5 if for no other reason golf and bowling are so much fun. Granted, this is coming from somebody who didn't play it on the Wii so much, so maybe that's why I'm having more fun with it. Tennis wasn't spoken of highly, but it's the game my friends go to when they play it. I went ahead and got baseball and boxing, so I can't comment on those. So, if you are on the fence on this and haven't tried the demos yet, give it a shot- that's what got me to buy them. I had more fun than I thought I would. @JaxonH - I wish my microwave was an AC b/c I'm too lazy to put the AC in the window but the microwave is just always a few feet behind me. Everyone who complained about Wii Sports "where is the online. 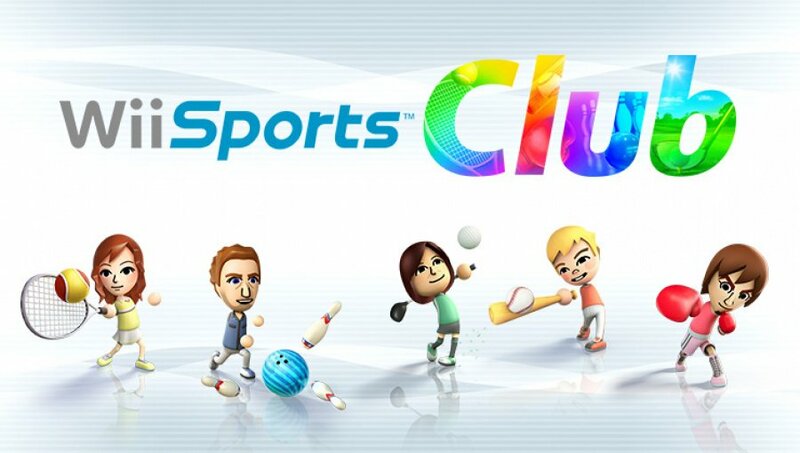 why is this in standard def still" Now we have Wii Sports Club. Online + HD. What you asked for. Now people say "No way am I paying for that. You need to give it to me for free or for $20" no wonder sales are slow, you idiots always want something for nothing. I recently got zelda hd ans i am pretty broke. I only care about tennis. I think i will get individual sport when the price drops. I bought the disc.. I don't love all the sports, but I'm a sucker for a retail release of such things. It's a decent enough price on Shopto if ever you're interested, particularly if you end up with a Gold membership because you've spent far, far too much money in recent years feeding this awful habit..
Who are you talking to? Voices in your head? I wonder if Golf could be even more realistic with Balance Board support. @Nintenjoe64 You might want to cancel that order if you placed one, now CARS is not coming to Wii U until 2015. It was hardly breaking news, with both titles bring published by BANDAI. They were hardly going to release C.A.R.S. up against SSB4. Just hope 2015 does not lead on to "Cancelled". @akaDv8R I could smell a cancellation around the corner as soon as a major publisher got on board. Namco haven't been particularly cruel to Wii U owners but their support hasn't been massive and I'd imagine that Pacman on Wii U sold terribly enough to scare them off any development that Nintendo didn't fund. Time to flood the Miiverse with complaints/worries about this delay/cancellation! @Nintenjoe64 Possibly, although Slightly Mad Studios have said from the start, they are determined to be the first developer to bring a true racing experience to the Wii U. Time will tell I guess. Hoping Hyrule Warriors and SSB4 helps shift enough consoles to warrant a release. @Blue-Thunder Well, it is a very nice lick of paint, and the MotionPlus and GamePad enhancements are also a major (and arguably the best in Golf, Tennis, and Baseball) new enhancement as well. I think the prices are reasonable. Argghh, the term is "fly ball," darn it! "Air ball" is a basketball term. @Nintenjoe64 I would like to be able to say you are wrong........ BUT I CANNOT. point made, and made well. Maybe have it as DLC or something. Or while we're at it, where is Pilotwings for the Wii U? Moved on. Mario galaxy was a milestone in gaming that, for all the right reasons, made me forget about conceptual fun in the likes of wii sports and all others before galaxy. Yep, wii u is more awesome already. I too am still waiting.